What dream are you chasing? What goal do you desire to achieve? Don’t back down! Stay the course and do what you can do. Even though times in your life may say differently, don’t back down. The weather doesn’t predict your future. So why let a setback hold you back? In order to see a rainbow, there must be a storm. Those storms are never pretty. They hit you when you least expect them. In order to know your strength, you must fall. 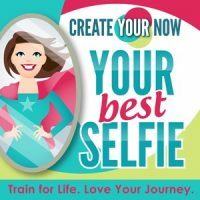 To become your best selfie requires work. And the work is much harder than you realize until you’re in the trenches. A setback is the opportunity for a comeback. The K.I.S.S. ~ Don’t back down! Look to what you can achieve. You don’t have to attack your life and your dreams in giant bits.